Best Buy, the $50.7 billion Richfield, Minn.-based electronics retailer, appointed Sharon McCollam, CFO and chief administrative officer. 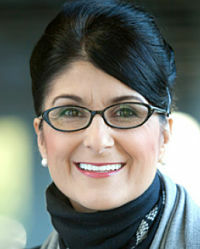 She succeeds James Muehlbauer, who resigned. McCollam, 50, pictured at right, retired from Williams-Sonoma earlier this year as CFO, COO and executive vice president. She also served as a director from 2010 to 2012. Previously, she was CFO at Dole Fresh Vegetables, a unit of Dole Foods, from 1996 to 2000.